Distinctive features form part of this team of professionals in Economic Sciences who exercise this profession and are also engaged in teaching. We are a team assuming a strong commitment and responsibility towards several institutions, students, companies, society, colleagues and the profession in itself. We strongly believe that the student is a necessary participant of his/her own training, and that education does not build itself around the professor, but it is a process that helps the student to find himself. 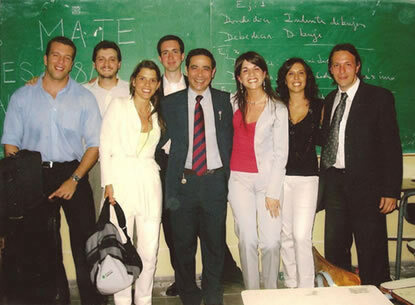 Jonathan Molendowski, Sergio Giovagnoli, Eduardo Marconi, Maria Florencia Castagnino, José Antonio Gallo, Romina Capone, Marina Cabello, Claudio de la Cuesta. Teach an individual to live freely, being tied only to those things such person loves, and not to be afraid of crises or failures, because valuable lessons can be obtained therefrom. Teach that knowledge is an asset that belongs to human beings and that cannot be stolen. Teach that if different results are sought, you must not do always the same. Think that every time something is taught to somebody, the recipient assimilates this and a new human being emerges. Think that every time a mistake is made, a new truth, unknown until that moment, is discovered. Learn how to distinguish and differentiate the false existential labyrinth center, and make it clear that a teacher comes up whenever a student is ready. 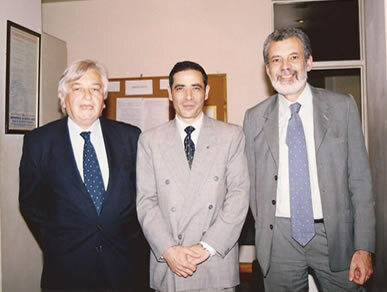 Robert Taylor, José Antonio Gallo, Mario Wainstein. 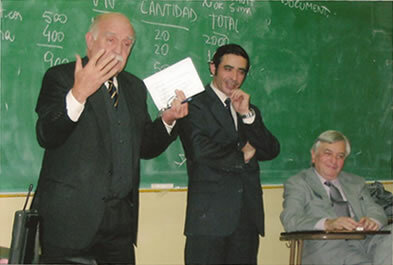 Mario Wainstein, José Antonio Gallo, Ricardo López. Design and implement systems related to process control and operating audits, make up interdisciplinary teams with other areas, act as expert, manager, auditor or arbitrator in legal issues, issue opinions on the adequacy of accounting information to be filed with third parties, perform external audits, participate in the design of tax policies, provide advise as regards the enforcement and interpretation of tax laws, among others.